Bring in the New Year with a new Hedge! Hedges are such an amazing plant that can be added in any landscape and make it look 10 times better, no matter how great it was before the hedges came along! There are multiple reasons that you might decide to add a hedge to your yard or add to your existing hedges. The most popular reason people consider adding hedges is that they are seeking privacy from their surroundings for a more secluded vibe or to create a quieter retreat. Some may even want to add privacy hedges to use their front yard similarly to the backyard such as a small patio area, or another outdoor space for kids to play safely. Whatever your reasons might be for wanting to add new hedges or spruce up existing hedges in your yard, our Absolute Evergreen hedges are a must for an all year, all green look. 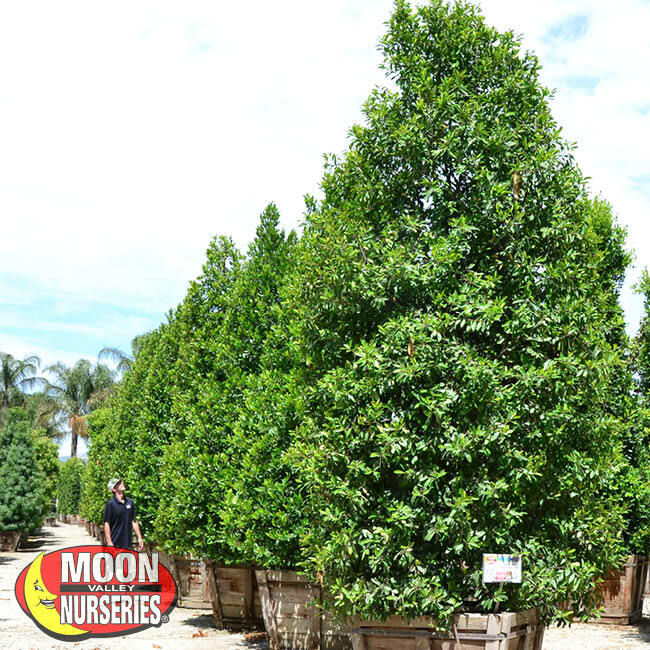 Indian Laurel Columns, also commonly known by their scientific name - ficus nitida, are our most popular hedge material shrubs when customers are looking for a formal landscape hedge. These potentially large (depending on how you want to prune them) evergreens provide plentiful shade and perform great when planted along property lines for blocking everything! Well, it blocks almost anything like the sun, noise, wind, and unwanted views. Indian Laurel Columns have lush, dense foliage and strong softwood branches. It can be pruned into almost any shape, but we love to let these grow large and tall for ultimate privacy. This plant also handles the warmer summer months very well, so it won’t need much special care during our hot months, except maybe a bit more water. 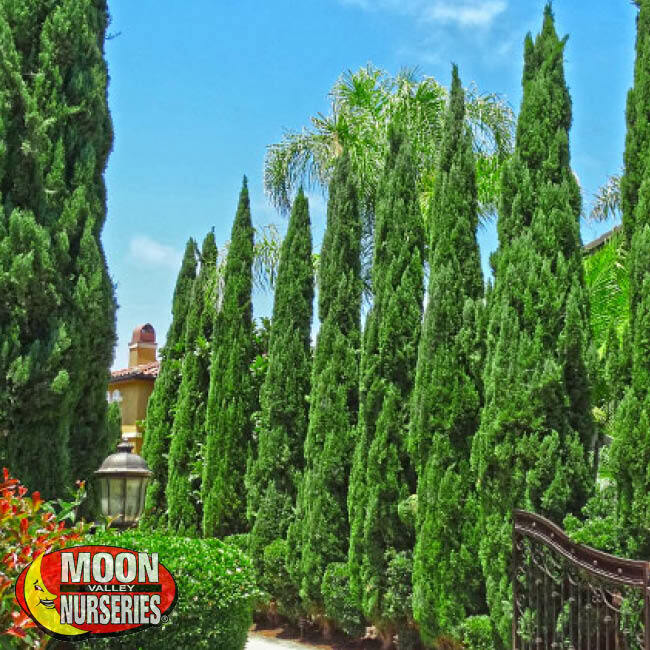 The Italian Cypress are known for their dramatic look and how you can find them planted while they lead you to formal entrances or lining a long driveway. This plant is unmistakable to most, with their lush green foliage and tall, narrow upright form. These long-lived specimens of magnificence are well suited to modern living as well. Their natural ability to thrive in sunny climates on a minimal amount of water makes them a popular choice for just about any landscape, especially ours. Plant these columnar evergreens in a row and create an attractive natural property divider. You can plant these narrow fast-growing privacy hedges in your yard to bring the look of the Mediterranean to landscapes throughout the Phoenix area. Their elegant and classy appearance makes them a landscaping favorite! Native to the Southeastern United States, the Carolina Cherry has become a popular choice due to its minimally needed upkeep, natural upright conical shape, and ability to tolerate some of our common weather issues - heat and drought. This hedge variety enjoys the full sun but can also be planted in areas that receive partial shade. The Carolina Cherry is a small to medium-sized evergreen with dark green, lustrous wavy-edged foliage on strong, brown branches. They can be trimmed easily into a tall screen or sound barrier, which make them a near-perfect option for many homes. The Carolina Cherry is a fast grower and can easily live for over 50, if not 100, years. These hedges will increase your property value for generations! 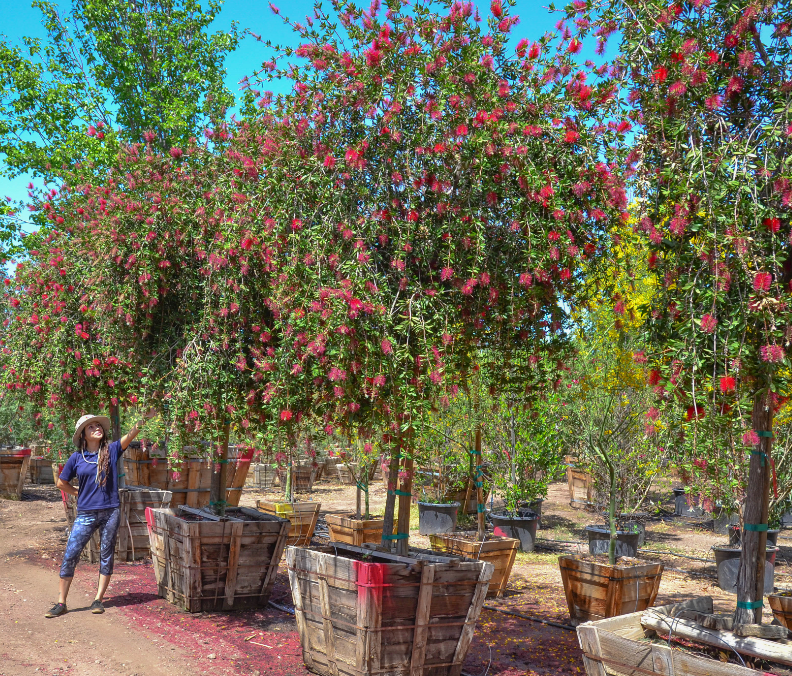 The Lemon Bottlebrush is the only hedge option on this list that grows strong pops of color all throughout its foliage. This evergreen shrub works as colorful hedge that makes for a fantastic addition to any landscape as a complete hedge, or as part of a hedge to add accents. The showy red flowers can stay that way nearly the whole year. With a height and width span of 3-10 feet, these will surely give you a lively and thick hedge, once established. The Bottlebrush blooms in spring with some off-season blooms in the fall that attract pollinating insects and hummingbirds. The Bottlebrush likes to be in full sun and only needs occasional deep watering, a bit more so in our hot summer months. Train it while it’s young and it will shape into nearly any size desirable. The Japanese Privet is an ideal solution for those who want an evergreen and low maintenance hedge. 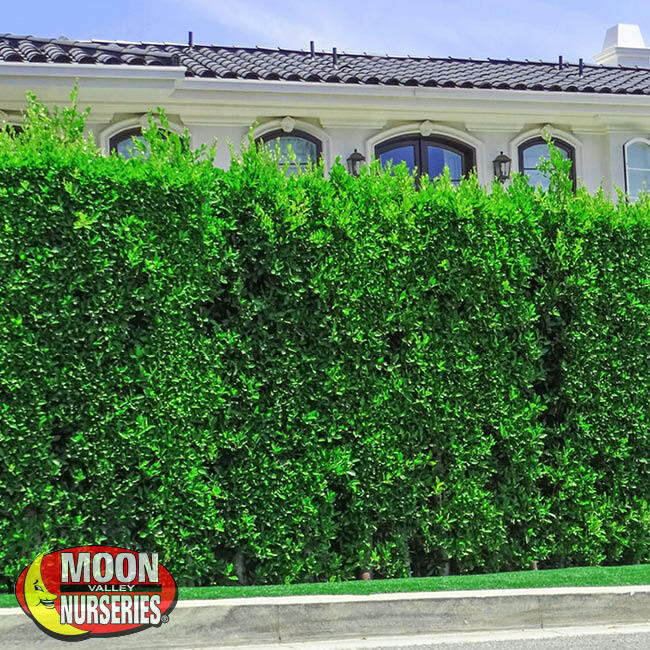 While there are Japanese Privet trees that can add some textured green to your yard or maybe even create a floating hedge above your fence, most customers use them to create living privacy walls. This shrub can add be pruned into a more formal look but looks amazing when allowed to keep its natural, informal shape. Japanese Privets are great additions to your yard and love the southwestern weather. They do best when planted in partial sunlight and is tolerant of the low desert temperatures come winter. For a short time in late spring, this privet will produce white flowers, offering a bit of extra color to your landscape. Do you have any of these hedges in your yard? Let us know how you like them! Using other shrubs in your hedge? Share them with us. We love to learn how our customers are doing with their own yards! 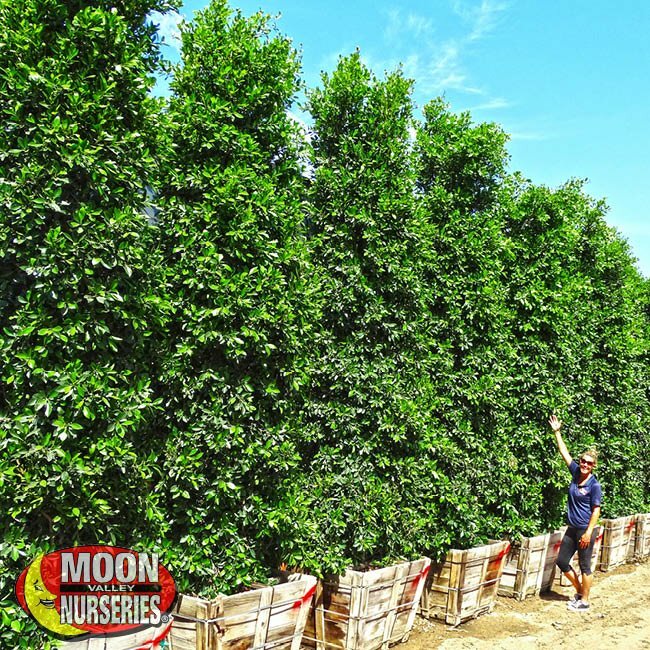 At Moon Valley Nurseries, we are proud of the quality hedge material we have to offer to our customers and we love how amazing a hedge is when added to your landscape and how easy it is for them to fit into almost any style. Whether you are looking for dense shade or flowering hedges, we’re sure to have the perfect hedge material for your landscape. 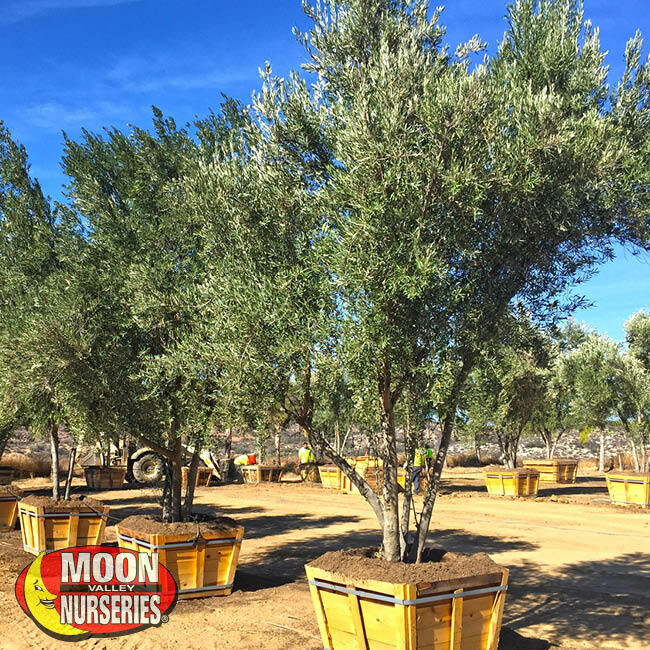 If you have any questions be sure to contact one of our nursery experts at any of our Moon Valley Nursery locations. 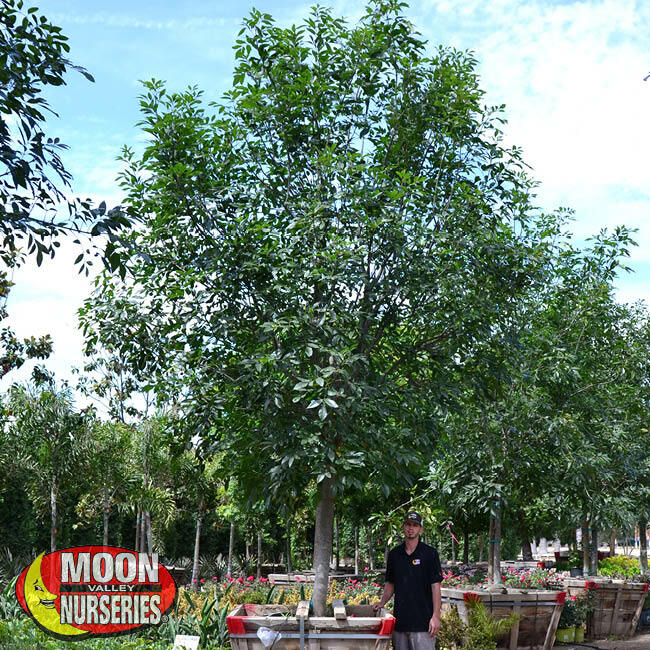 This Majestic Ash tree is an evergreen seedless variety that stays greener than other ash varieties. 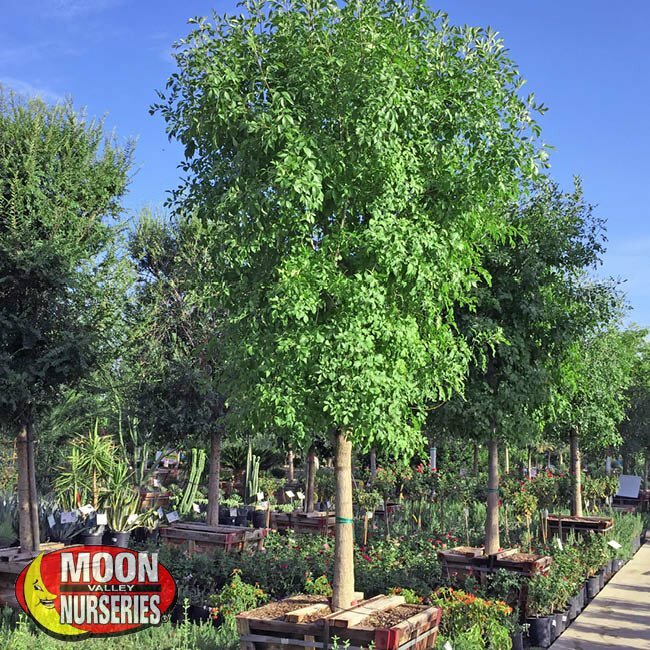 They feature large, glossy green leaves and its narrow, upright shape makes it an ideal shade tree for any potential planting locations. Because these trees are low-maintenance and virtually pest-free, it makes them ideal for a yard or street plantings. This is the ultimate shade tree and Arizona can never get enough shade any time of the year! If you're expecting and hoping for a large canopy of shade to provide a play area for your children or for a way to escape the afternoon sun you will not be disappointed in the Majestic Ash. It has a formal upright growth rate. You can plant the Majestic Ash as a focal point in your yard or in a row for a wall of shade. A row of these trees will also give your yard additional privacy as well. The classic, larger-leaved green foliage compliments the canopy as well with its dense and unique growth. Minimal light will pass through this tree, which allows many of our homeowners to plant colorful partial-sun shrubs underneath the tree that will be protected from the sun. John and Susan recently bought a new home but quickly realized how hard it was to keep the air cool in their home and how unbearable it was to spend time outside in their yard. With windows on all sides of their house, it was impossible to escape the intense sun every day. They tried to fix the issue with easy and quick ideas hoping that it would help cool the home down but to no avail. At this point, they realized that they needed to add shade outside of their home to really fix the problem. They visited Moon Valley Nurseries to speak with one of our expert designers and discussed the issues they were having and their failed attempts to solve the problem. The designer suggested that they add shade trees around their property, which would allow them to not only enjoy a cooler home (and lower electric bill) but to enjoy their backyard and entertain as they please. The designer suggested the evergreen shade tree, Majestic Ash, to start them off and they fell in love with the glossy green leaves and dense canopy it had to offer. Our designer helped pick the perfect planting locations that would benefit John and Susan the most. After being planted only a few weeks, it was obvious John and Susan had found a winning solution. Not only did this help with cooling their home down year-round and letting them enjoy their backyard, but it also created privacy and curb appeal to their property, including an increase in overall value. 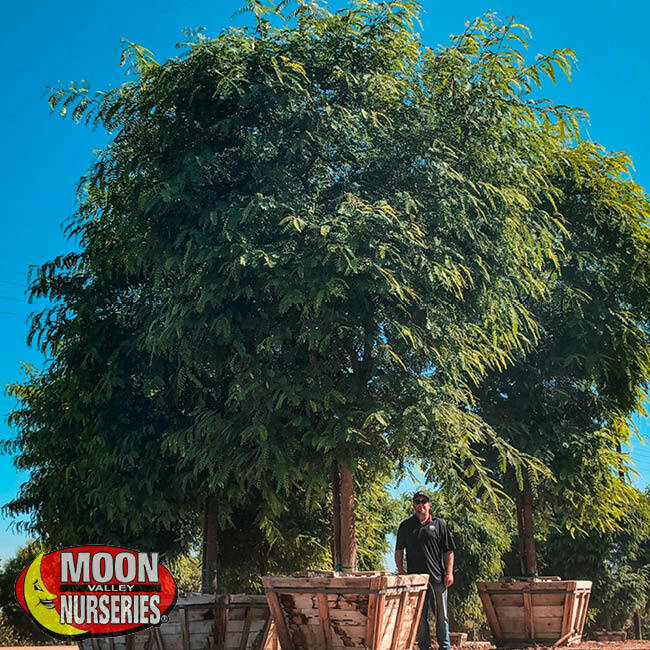 From seed to tree, we grow our Majestic Ash trees on one of our many farms in Arizona and other Southwestern states to be ready for planting in your yard. Because of this, we guarantee to have the perfectly-sized tree for your yard. 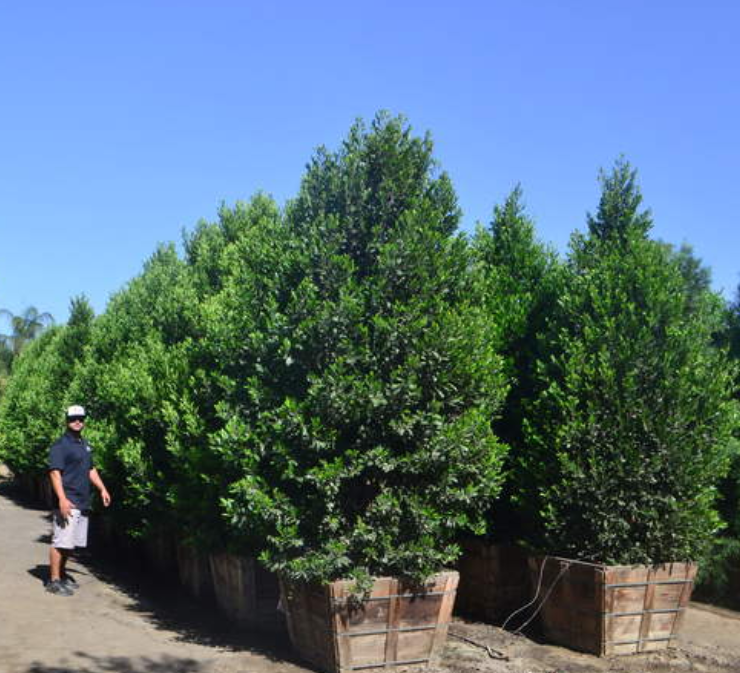 We have been growing premium specimen trees at our farms for decades across the Southwest and have perfected the proper growing technique to assure the customer is always getting a top-quality tree for the best value. 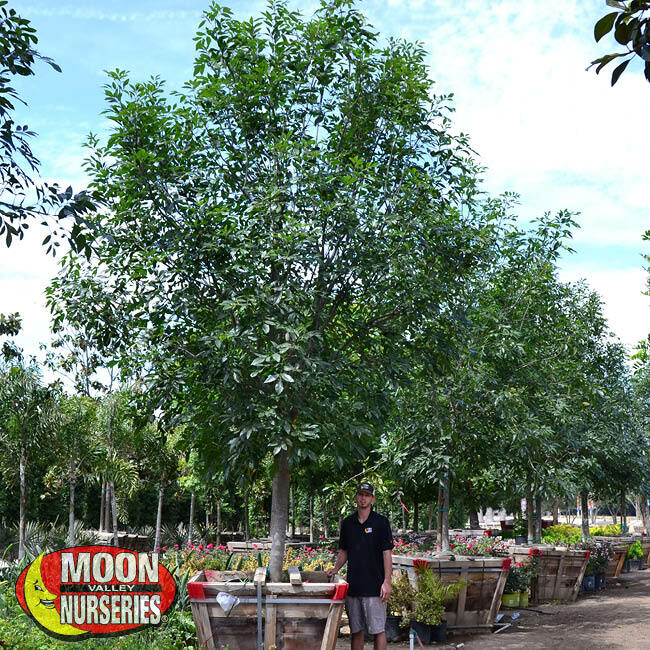 The Moon Valley Nurseries Majestic Ash tree is a grafted cultivar that is grown especially by our nursery professionals. The best part of this tree variety is how it does not produce seeds thanks to our expert growing process. 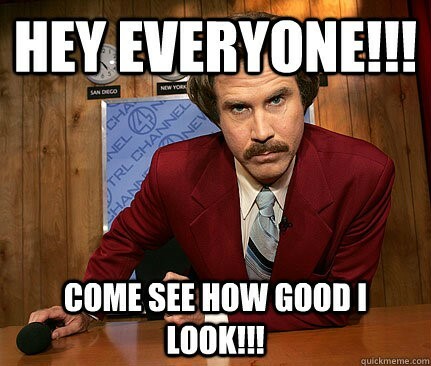 It should go without saying (but I’m going to say it!) - this is quite the clean tree! 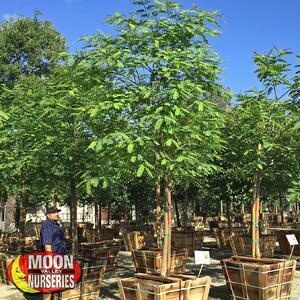 Head over to your local Moon Valley Nurseries today and check out our large inventory of Majestic Ash. Our nursery experts have years of experience and can assist you with any and all projects you can imagine! If you couldn’t tell, we love the fall season! Not only is it finally cool enough to enjoy the weather in Arizona, but it’s the best time of year to plant new trees and shrubs in your yard. Some of the best trees we love planting right now are fruit trees. These trees can grow beautiful fragrant flowers, create great summer shade, and bring you tasty fruit right in your yard! The first tree on this list is one of the best and easiest to grow in our Arizona climate. 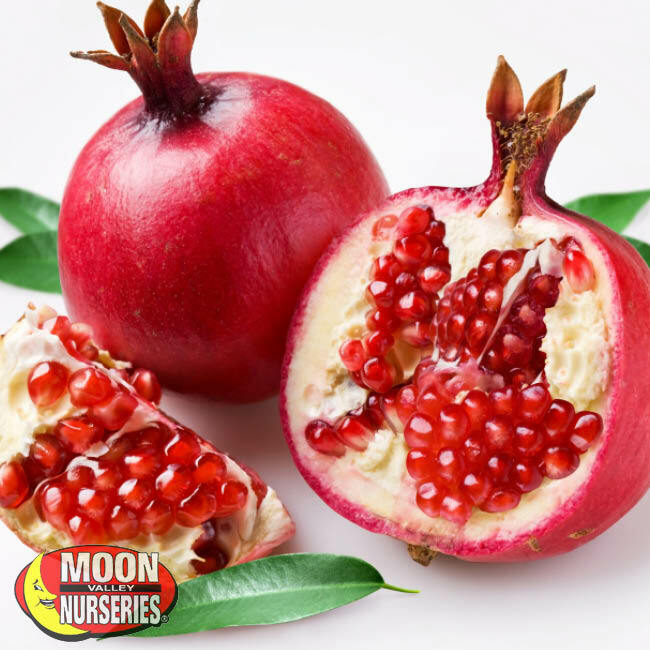 The deciduous Pomegranate tree is just as amazing once it is established due to how low maintenance it is compared to other trees. It only requires low to moderate water, is drought tolerant, and flourishes in full and partial sun. Since it only grows to be a small tree, the Pomegranate tree can be planted anywhere. Fruit trees are a great choice for the Phoenix-area and Plum trees are a popular addition for local yards. Like other fruit trees, this one is easy to grow in our area too! It should be planted somewhere that gets full or partial sun and benefits from fertilizer right before the new growth starts in Spring. Another cool feature of this tree that shows up in the spring time is the abundance of white flowers that appear. 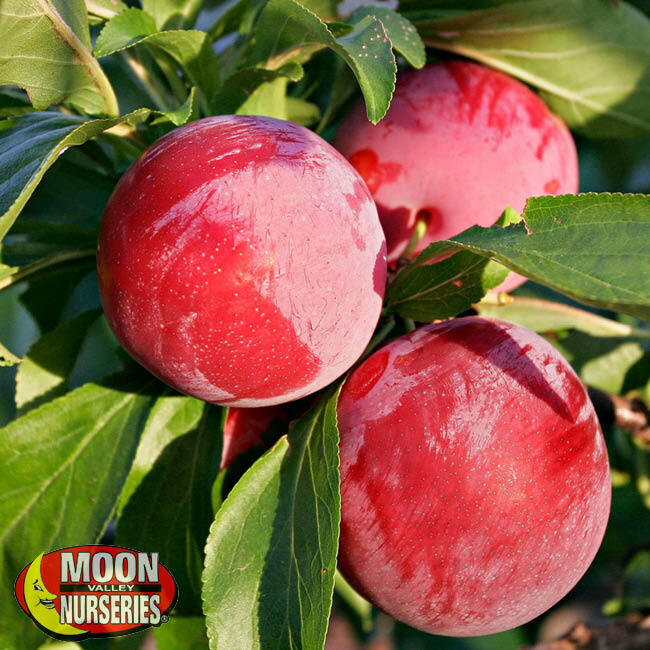 On top of growing your own food, Plum trees can be used as a stunning focal point in a large yard or small garden. Just the idea of having a Peach tree in your yard should cause you to start craving one. If you don’t, then maybe you don’t like peaches at all (and that’s okay- kind of weird, but totally okay, no judgement). This is an easy growing, deciduous tree that grows small with a wide-spread canopy of dense foliage. It also produces colorful showy flowers throughout the spring season creating an attractive landscape. The beauty of this tree makes it perfect for any sized yard! Now that we have an idea of what we are going to plant, it is time to prepare ourselves for what we should be doing to make sure we have the best tree. Tree care is especially important when it comes to fruit trees because you will literally be able to taste the work and effort you put in to it. For specific questions or concerns, please reach out to our Tree Care team and one of our I.S.A. Certified Arborists will be ready to help! We’re quite lucky to be living in Phoenix as we have two amazing planting seasons. Even though the spring season is a good time to plant, the fall season creates the perfect growing environment to plant new trees and shrubs. In the colder months, newly planted trees and shrubs convert their energy to root growth. Planting in the fall allows up to five months of root development. Once spring arrives, the tree or shrub that was planted in the fall will have a very established root system and be better prepared for the incoming heat. With the root system established, the tree or shrub will focus its energy on top growth to bring back healthy foliage. Trees and shrubs planted now in Phoenix will have plenty of time to grow a shade canopy before the summer high temps arrives next year. While the rest of the country is not looking forward to the cold winter days, residents in Phoenix are spending more time outside working hard on their landscape. Fall annuals are a fantastic and easy way to add striking color to accent areas, garden beds, and eye-catching borders. For more abundant bloom cycles this fall, pick up a bag of our Moon Dust Organic Blend which creates great results because it was developed especially for our tough, compact, and alkaline soils. Whenever the seasons change, you need to check your watering system and most likely, readjust some or all the settings. At this time of the year, the biggest change will probably need to be how often you water certain areas of your yard. Make sure that you check each sprinkler head and any emitters you have installed are still working properly and replace any that are not. Now that the temperatures are cooler, less water is needed but make sure you adjust properly for each individual plant. Your Peach tree and shrubs probably won’t survive on the same schedule! Now that the monsoon season is over, it’s time to check on the status and health of the trees in your landscape. Staking your trees after the strong winds and heavy rain during the monsoon season is extremely important as the adverse weather conditions may have damaged the foundation of your tree. After planting, the single stake will be enough for three to six months of growth. We recommend switching to double stake harness for the next year. If your tree was planted in the spring, we highly recommend double staking this fall. You can safely prune a tree in the fall, and you’re going to want to do it before the winter cold sets in. If the temperature shows early indications of cold weather, be careful when pruning your tree. You do not want to hack your tree as this will affect the health of your tree, and it will leave it exposed and susceptible to any potential frost damage. Reach out to our Tree Care team for any questions or assistance! The best and most ideal time to fertilize your landscape is in the fall because trees and shrubs are still growing underneath the soil. Colder temperatures are a signal to trees that they should stop top growth and focus on root development. Fertilizing with Moon Valley Nurseries’ Super Charged Moon Juice and Moon Dust Organic Blend allows organic enzymes and amino acids to stimulate new root system growth and stronger cell development while helping the tree grow faster and recover quicker from stressful events (such as an Arizona summer). These essential nutrients will be absorbed by the root system of your tree. Your tree will then use these nutrients to grow its root system and ward off any disease in the fall. Excess nutrients are then stored in the roots and will be available for vital top growth once spring arrives. For questions about watering, trimming, and fertilizing, feel free to ask any of Nursery Professionals! Call your nearest Nursery today! Fall is here and it's time to plant some trees! 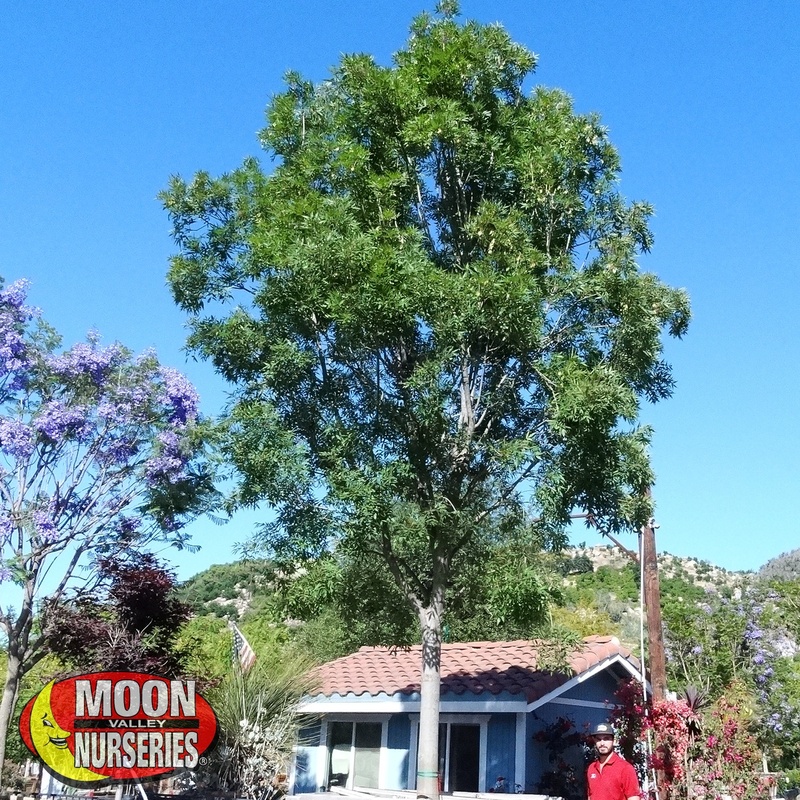 A popular choice when landscaping your yard in the Arizona desert is the Raywood Ash Tree. 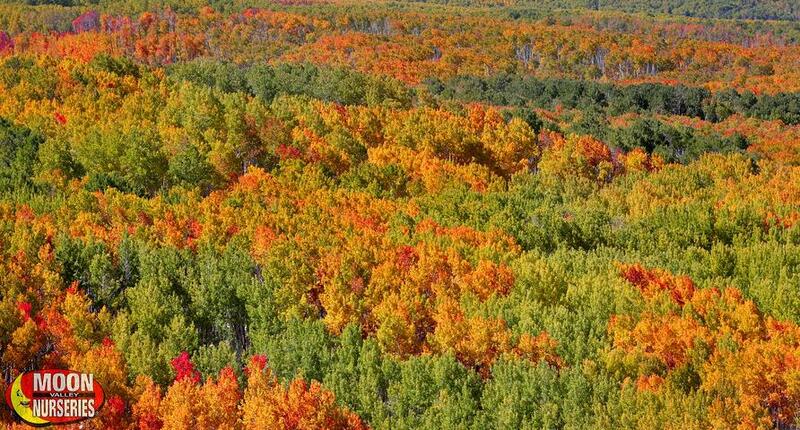 It is known for its extraordinary display of dark red to deep reddish-purple foliage in the fall that gives any landscape a unique look for the season. The leaves of the Raywood Ash drop off soon after the fall season, allowing for an easy clean up just once a year. During the summer, the Raywood Ash offers a much-needed service with the shade that it brings to a yard! When the leaves come back, it becomes a perfect shade tree that grows upright more than it grows wide. It has dark green foliage that provides a sharp distinction to any landscape and looks great when it is planted as a single specimen, such as a focal point for a yard, where it's brilliant beauty and color can be admired. 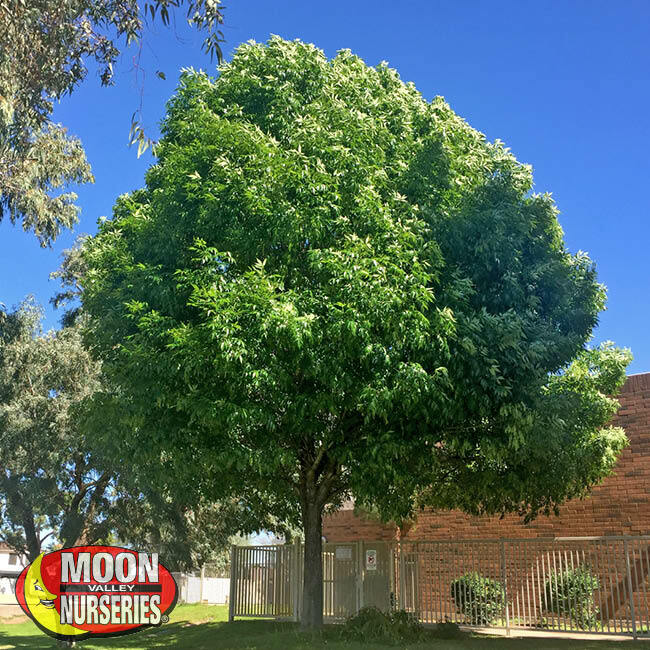 The Arizona Ash is a deciduous tree that has striking, smooth bright green leaves and can cover a lot of area in your yard with shade in the summer. Once winter shows up, the leaves drop and lets in the warmth of the sun! Native to Arizona and other southwestern states, this tree loves the sun. It is cold hardy and heat resistant, so they are ideal for planting in our desert climate. 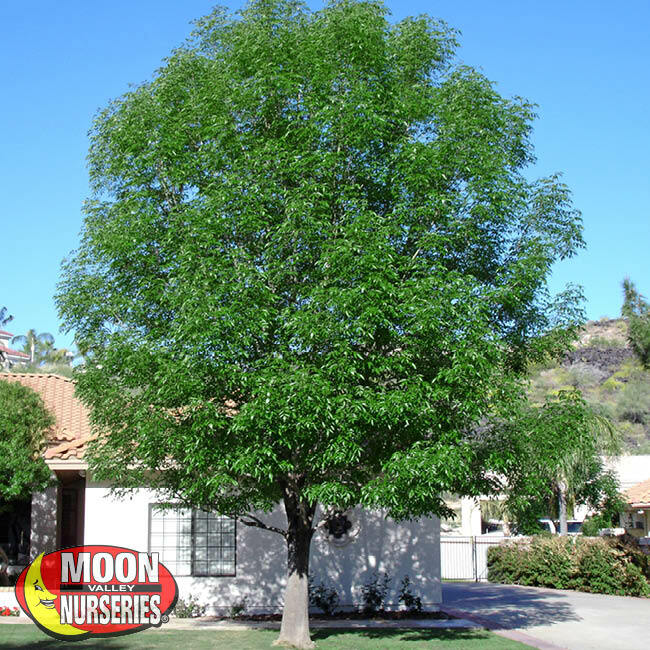 If you’re looking for a fast-growing shade tree, you’ll love the Arizona Ash Tree. 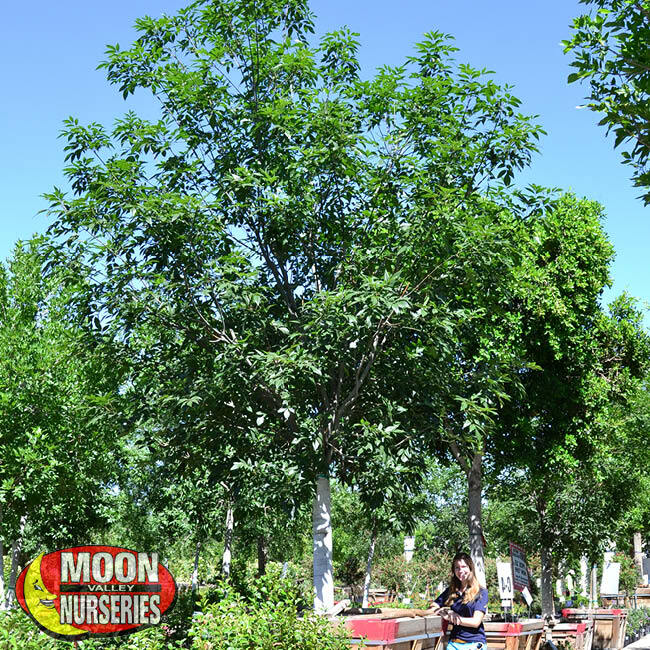 We find the Arizona Ash to be very adaptable for all uses such as being planted for shade, which keeps your house cool in the summer. Because it is a deciduous tree and the leaves drop by late fall, it will also help keep your house warm in the winter! 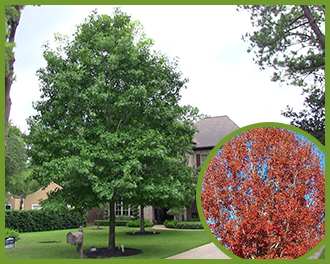 Another awesome fall choice to include in your landscape for ultimate shade is the Shumard Oak Tree. This oak tree is a medium to large sized tree and grows into a canopy with a wide spreading reach, which creates a large area of shade all around it. This tree is a fast-growing species of oak that is very tough and long-living, so it will be part of the family for generations! This tree is known for its antique look with large dark green leaves that can grow up to eight inches long. 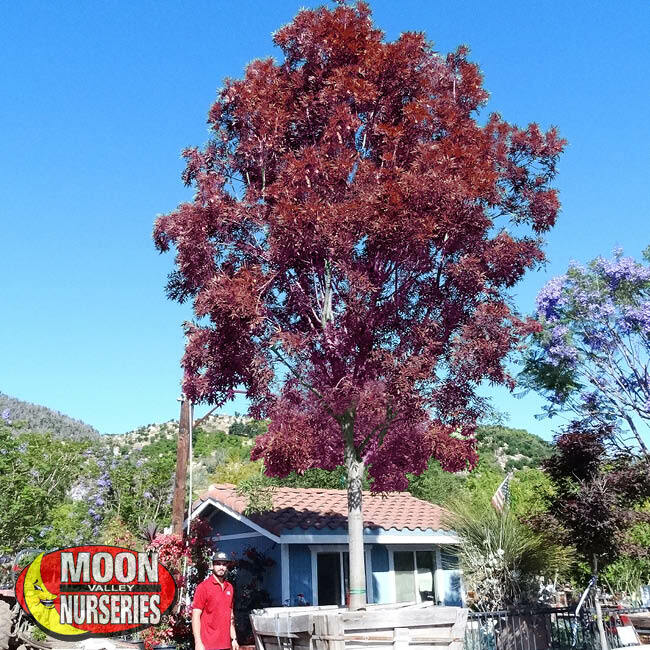 Another benefit of having the Shumard Oak is the beautiful vibrant red orange colors that take over tree during the fall season that will get you into the holiday festivities! Adding some splash of color to their landscapes is a common reason our customers start looking for new plants and trees. With so many choices of plants and varieties of each plant to choose from, preparation can be difficult! One of the best choices for striking bursts of color throughout your yard is the Crape Myrtle Tree. These trees bloom from the spring through the fall months and are the perfect addition to any front or back yard. In the fall season, the Crape Myrtle Tree produces exquisite flowers that come out in many colors such as pink, purple, red, and white. The colorful flowers contrast with the fall foliage. Because the Crape Myrtle stays small to medium in size, they can be planted almost anywhere. They will look lovely if they are planted in clusters or in an accent location in your yard. For ultimate blooming potential, we recommend pruning in the winter while the tree is dormant. What do you think of our favorite trees of fall? Share your favorite with us below! 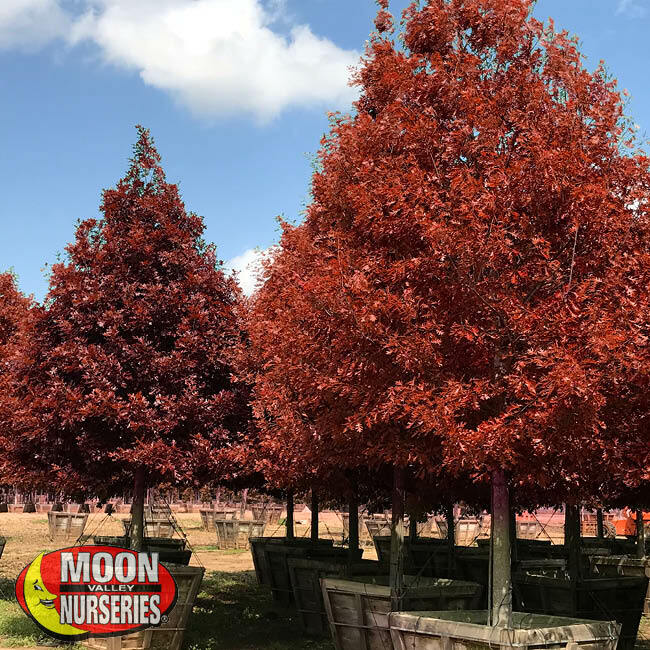 Find a Moon Valley Nurseries location near you and come check these trees out soon and you will see the colors in full vibrant action! Our trees come with #freeplanting, so you don't have to do all the hard work! So, check out these fall favorites and one of our experts will help you get the perfect plants in your yard! Arizona is finally turning back into the state that we ‘zonies love to brag about to the rest of the country! The weather is beginning to cool down and that means it’s time to start taking care of your yard. The hot summer may have beaten your yard up a bit (or maybe even fried it up), so it needs to be brought back to good health and get ready for the winter weather! October, and the fall season, is one of the best times of the year to rebuild a landscape or start a new project. Fall is also the best time of year to plant any new trees, shrubs, and other plants you’ve had your eye on to improve your yard. The cooler weather is a welcomed break from the blistering summertime heat, and relief for any home owner who has been avoiding the sun for months! While we can start to enjoy being outside more and working on our yard, the soil is still warm and will hold onto the heat for a while. This makes for a perfect environment to transplant any plants or trees. This planting schedule will offer maximum root growth potential; preparing it for long term success. Any time the weather starts to change, your watering schedule needs to change too! Now is the time to adjust your schedule for the fall season, so be sure to change the timer for your landscape or your manual watering schedule accordingly. Since we have cooler nights and days, the soil can hold on to moisture longer. This means that you can use less and less water through the fall and winter. While this gives you the chance to save some money on your utility bill, you still want to water the same amount for each watering session. You just don’t need to water as often. For Low Water varieties, water 1 time and do this every 10 days (New Trees, water 1x a week). For Moderate Water use varieties, water 1 time every 10 days (New Trees, water 2x a week). For Topical varieties, water 1 time per week (New Trees, water 2x a week). There are no more excuses now that summer is on its way out and taking the heat with it…It's time to remove those weeds now! October is a great time for getting rid of all those weeds that are still taking over your yard. Once they are cleared out of your lawn, we suggest using pre-emergent herbicides. Spray now to help prevent new weeds from forming during falls rains. This can also lessen the work waiting for you in the spring by helping reduce and prevent weeds through the winter. Don't let those weeds settle into your landscape! Come visit Moon Valley Nurseries today and let us help you fight off those weeds! We cannot stress enough about how important it is to make fertilizing a consistent routine for everything in your landscaping. And by everything, we mean all your trees, flowers, vegetables, shrubs, and of course - your lawn. 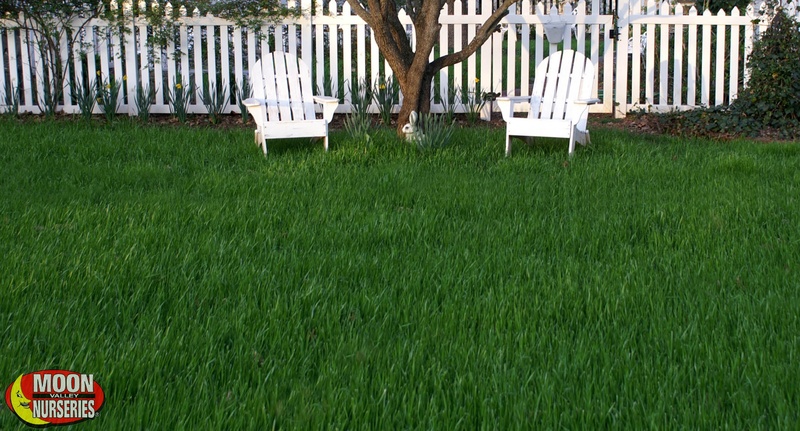 Using the proper fertilizer during this crucial time ensures that your landscape is regaining all necessary nutrients. Your lawn has been working hard all summer to survive and now it needs a bit of extra attention. Our Moon Juice, the best root enhancer on the market today, should be a staple in every yard. It can be used on all your trees, flowers, vegetables and any other plants all year long, especially in Arizona. Get things fertilized now for the second growing season. It will also get them strong and ready for the upcoming winter! Click here for all our fertilizer products and see which ones best fit your lawn care needs! As the summer grass starts to go dormant, and the thatch on your lawn has been removed, it’s time to reseed for the winter. You might have a whole lawn to seed or maybe just a few random areas where summer weeds took over. Whichever situation you are in, the soil (with some help from the previously mentioned fertilizer) is at its best right now for those winter grass seeds to grow full and green. For more information on reseeding, check out our tips and tricks for your winter grass! The fall season is the time to trim off any dead or damaged branches on the tree that may have occurred over the summer from heat or seasonal storms. Make sure to also cut back any excessive branches and to remove any and all tree suckers on your citrus and fruit trees. While caterpillars are not technically considered pests and don’t create a huge threat, they are still easily capable of showing up and snacking on your plants, especially flowering shrubs. They mostly go after desert plants but will gladly enjoy eating any other plants they can find! Examine your plants and keep a look out for any signs of caterpillars so you can treat them before they start causing damage! Moon Valley recommends the Monterey Bt Liquid Concentrate, a fast-acting insecticide spray to control any caterpillar infestations. The Tipu tree offers massive shade, ridiculous growth rate, low water usage, and bright yellow pea shaped flowers. These amazing features have made this a popular tree for homeowners across Arizona. When you know you want shade, the Tipu is the perfect choice. This semi-evergreen grows extremely fast and spread out with age, producing a layered umbrella-like canopy. 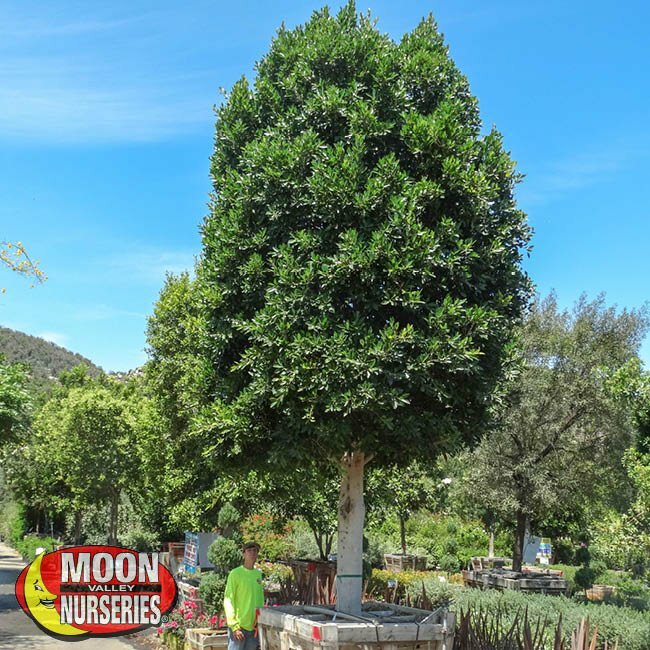 Its growth habit and massive canopy of shade makes it an ideal tree to cool your home, shade your patio, or a natural way to protect other plants in your yard from the summer sun. 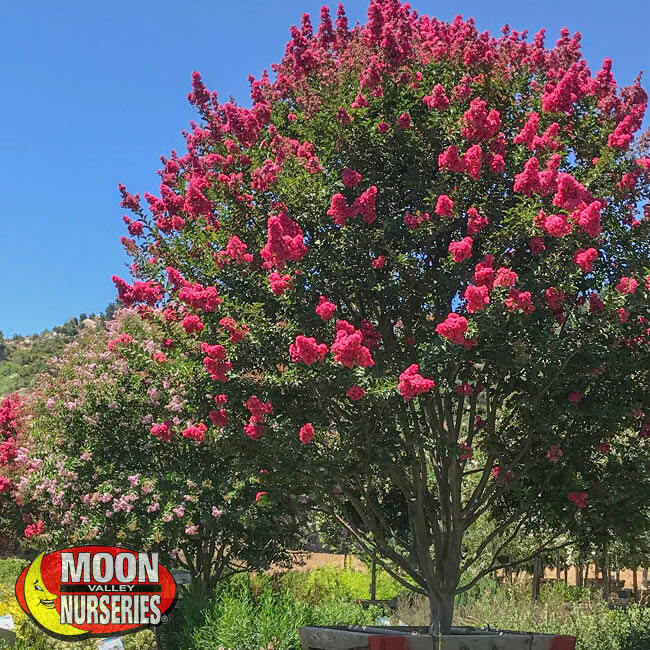 The Crape Myrtle tree has something to offer for all year round but stands out in late spring to summer when it begins producing stunning blooms of purple, pink, red, and white flowers. Those colors create an eye-pleasing look when planted in clusters or accent locations. 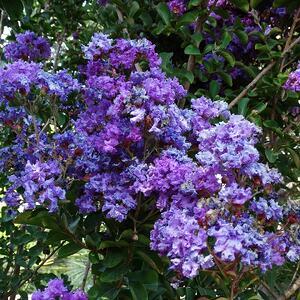 The Crape Myrtle is known for its long and constant bloom cycle and fits well in just about any landscape. In the fall, the Crape Myrtle’s foliage turns to a showy bright orange, getting into the spirit of fall festivities! The Majestic Ash tree is a beautiful tree that adds value to your landscape just by being there! What makes this one of the best trees to plant is not just how good it looks but how useful it is for any yard. The Majestic Ash grows upright with thick and shiny green foliage. They can be planted as a single tree for a focal point or as multiple trees in a row, which would create a wall and allow more shade AND privacy in your yard. Our Majestic Ash trees handle full sun, difficult soil, and becomes more water wise once it is established. The Piru Queen Palm is the epitome of what you picture when you think of a palm tree. An excellent palm for the southwest and to use as a focal point in any size yard! 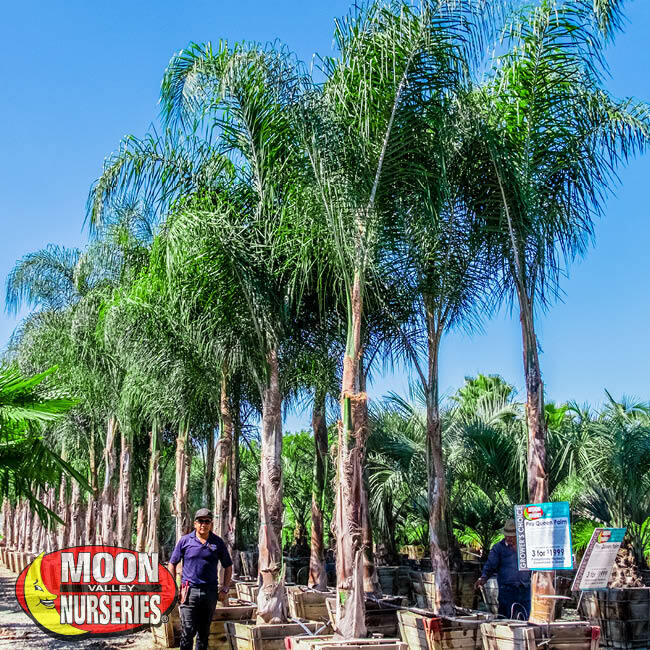 Moon Valley Nurseries grows these palms ourselves to make sure we are growing palms with thicker, harder trunks, and greener fronds and fuller crowns. The Queen Palm is a perfect choice for a look that is sure to add a tropical feel to any landscape. These beauties are extremely well-suited for the Arizona climate and they are custom grown to be further resistant to heat or cold. Looking for you own Hollywood Hedges? Nothing makes a backyard feel more like a fancy resort than to create a private escape from the outside world. The Indian Laurel Columns are the best choice to help you accomplish this goal! These trees grow thick from the bottom to the top and can be planted in rows to create a dense, lush privacy screen separating your backyard from any nosy neighbors, loud streets or other unwanted views. The Hollywood Hedge has become a favorite for everyone looking to create the ultimate privacy from the rest of the world and create a unique space that can make you feel far away from the city. With the summer temperatures dropping a little more each day in Arizona, fall is a great time to start prepping your yard and taking care of those trees and plants. When it comes to trimming trees or pruning plants make sure to only get rid of what is needed to give them a clean look and increase their health potential. When you are trying to figure out how much you should cut off, get rid of no more than 20% of the tree or plant. 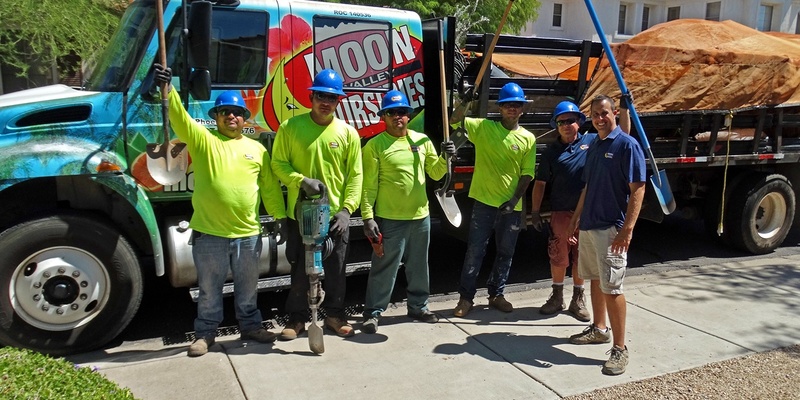 If you need more help or have any questions, please reach out to Moon Valley for any and all tree care needs. Our certified arborists are ready to give out free estimates across the valley. Now that everything is trimmed back, it is time to add some nutrients to your trees and plants. Fall is the best time to fertilize trees because the cooler temperatures help promote root growth. That growth will be at full potential with the right fertilizer. 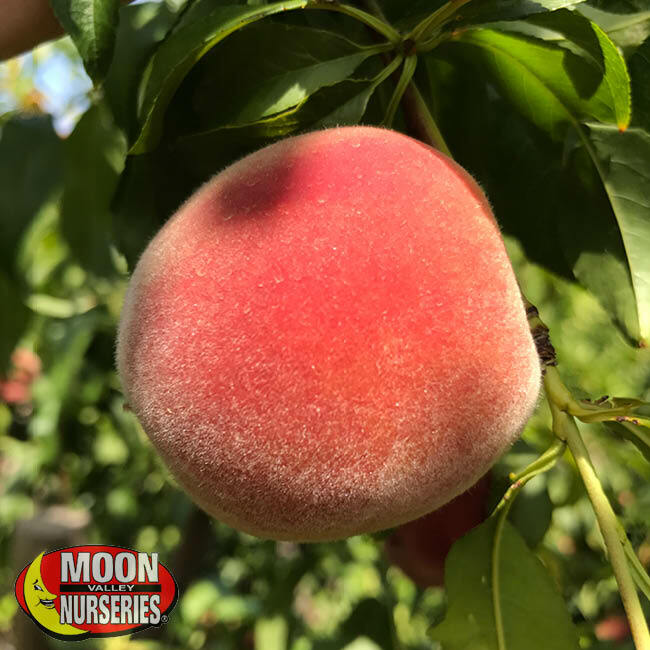 Our Moon Valleyʼs Moon Dust packs a one-two (and three) punch with the perfect blend of Nitrogen, Phosphorus, and Potassium that your biggest trees and smallest shrubs will love and appreciate. 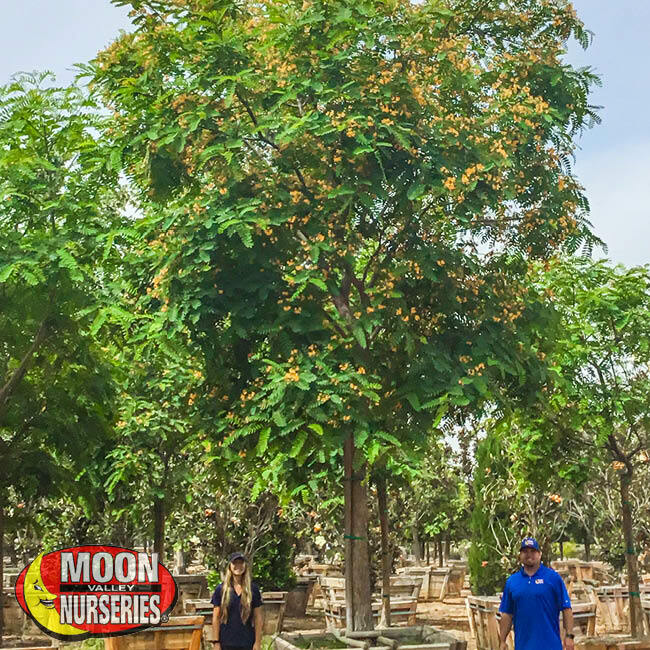 For year-round care, Moon Valleyʼs Super Charged Moon Juice is a liquid fertilizer that can help maintain your trees and plants through heat, frost, and even help fend off disease annually. After another Arizona summer, your lawn is ready to be pampered. With record heat bearing over it for months, your lawn is probably in need of some nutrients to bring it back to top shape. Moon Valleyʼs Moon Royale Turf fertilizer not only makes your lawn greener in days, but it also helps keep weeds and insects away for better growth. 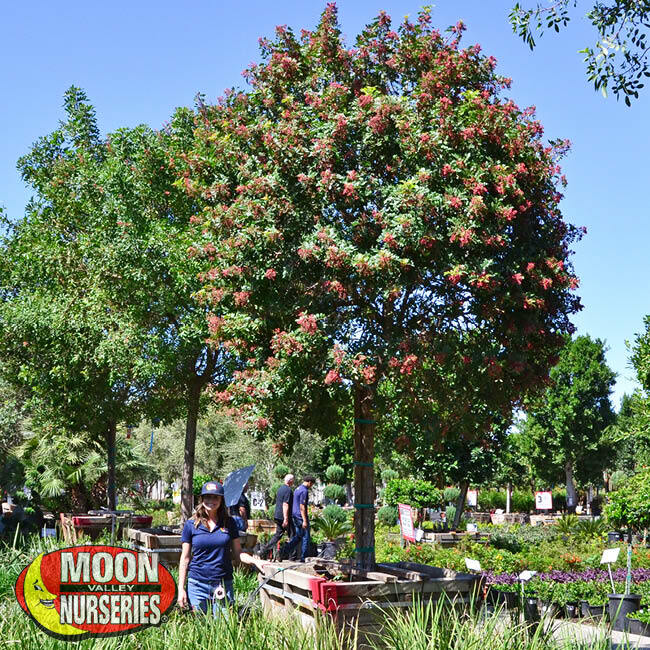 For customers looking to add some color into their landscape, the Crape Myrtle tree is a great option that blooms in pink, purple, white, and red and transitions into an orange shade in the fall season. It is a small-medium flowering tree that offers various bright colors perfect for front and back yards. 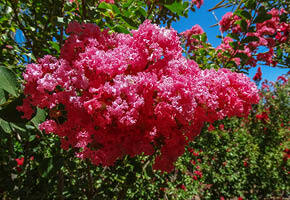 The Crape Myrtle is also an easy tree to maintain and does not need much water to flourish. 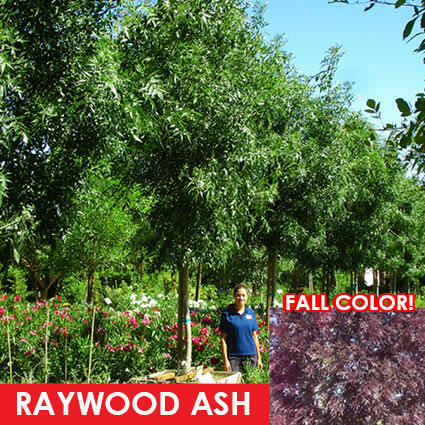 A Raywood Ash is a great addition to any Arizona yard. It loves the sun and grows in a round shape that creates nice spots of shade. Not only is it great for creating a shady landscape but the coloring it provides is perfect for the autumn season when its leaves turn to a burgundy-red color. The Shumard Oak is a perfect tree for an Arizona landscape. This type of oak tree is drought-tolerant and adapts well and quickly to where it is planted, which makes it easy to grow. 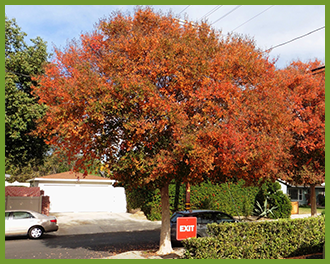 Its leaves are long and turn a stunning lively red in the fall that will surely get some attention from neighbors. 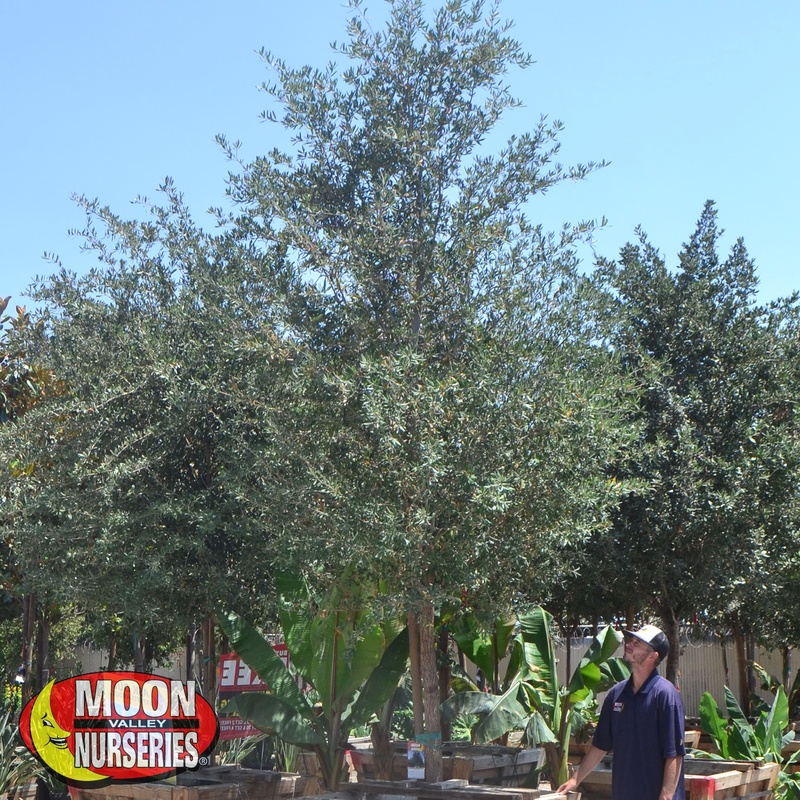 The Tipu tree is a great option in the Phoenix area due to its drought-tolerance and ability to grow in most soils. The Tipu tree produces yellow-golden flowers throughout the summer and bloom in the fall. It is a medium- large tree that is perfect for creating shade environments.